The Timothy Dimoff Story | SACS Consulting & Investigative Services, Inc. This ex-cop knows executive success and how to knock down the doors when crime comes to work! Timothy Dimoff knows his life's defining moment. He will never forget the impact when he was knocked down with a 150-pound SWAT shield. The next thing Tim knew, he was falling under the weight of two fellow officers as they bailed to escape from a crack house during a drug raid gone bad. "I decided I was going to chase the American Dream and become an entrepreneur." Dimoff has a solid record of leadership. He is nationally recognized for his role in a $4 million drug bust that crossed state lines. This case became the first federal racketeering case in Summit County history. A story that makes a good screenplay, set the stage as Dimoff was awarded Ohio Policeman of the Year by the state attorney general. However, leaving law enforcement, Dimoff had a new challenge. How to turn his street smarts into success secrets for business. And succeed he has. In fact, Dimoff is considered the number one consultant on high-risk workplace issues. Dimoff first began his business on familiar turf, office and factory worker drug abuse cases. Soon he moved deeper into corporate security, anti-violence and identity theft assignments. His experiences in growing his company became the foundation for his compelling book, The You in Business: How to Build a Strong Business from the Inside Out. This book and several others, plus two videos are the result of years of work and experience in growing his business, SACS Consulting & Investigative Services, Inc.
Dimoff's reputation continues to grow through his mantra of "meet people, meet people, meet people". His expertise in high-risk issues is recognized as second to none. Dimoff is now nationally recognized, including his featured role in a special episode of "Dateline NBC" dealing with identity theft. He has also been seen as an expert commentator on CNN and quoted in the New York Times, Wall Street Journal and USA Today. In the beginning, it was Dimoff's exposure to the underside of society that led him to realize Corporate America had a tremendous need for his expertise. He then combined his knowledge with certified training and airtight policies and procedures for the workplace. Dimoff, no stranger to explosive workplace issues such as substance abuse, threats, violence and harassment, found a way to help others. Through his business, Dimoff effectively guides companies in developing programs designed to protect them from the onslaught. "We are here to help. We know what to do. These issues can be controlled and the risks to companies minimized. We are all about solutions." 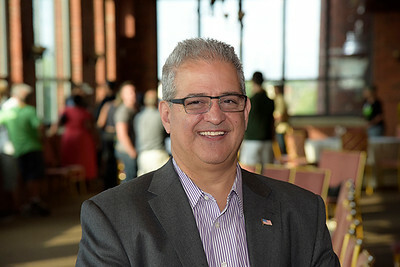 To learn more about Tim and what he can do for you as a speaker, national expert or author, visit his personal website www.timothydimoff.com.